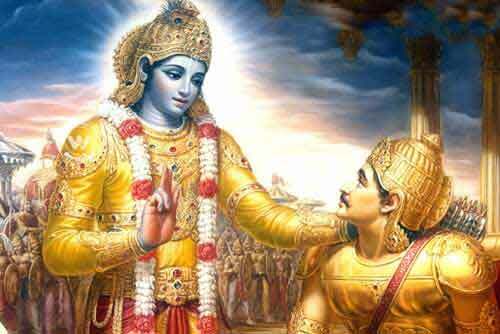 Bhagavad Gita chapter two mentions about a person who has achieved self realization. The behaviour and attitude of the person is mentioned in the chapter. When a man has given up the desires of his heart and is satisfied with the Self alone, be sure that he has reached the highest state. The sage, whose mind is unruffled in suffering, whose desire is not roused by enjoyment, who is without attachment, anger or fear – take him to be one who stands at that lofty level. He who wherever he goes is attached to no person and to no place by ties of flesh; who accepts good and evil alike, neither welcoming the one nor shrinking from the other – take him to be one who is merged in the Infinite. He who can withdraw his senses from the attraction of their objects, as the tortoise draws his limbs within its shell – take it that such a one has attained Perfection. The objects of sense turn from him who is self-disciplined. Even the relish for them is lost in him who has seen the Truth.